Plaster mold with red wax and red rubber core. Written on mold is "Pterodactyl rt. claw". Mold is bound with wire. Claw section, plaster mother mold with inner rubber mold and wax core. 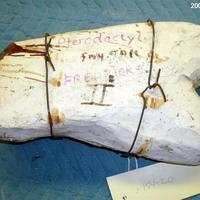 Written on mold is "Pterodactyl claw Fredericks". 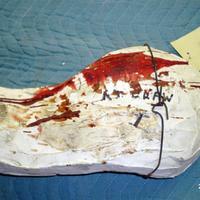 Bound with metal wire. 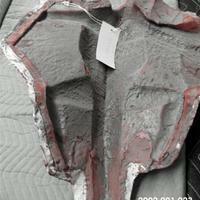 Plaster rubber and red wax body section mold for pterodactyls. Tail section, plaster mother mold with inner rubber mold and wax core. 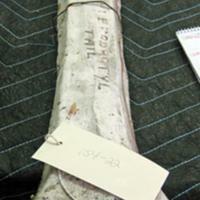 Written on the mold is "Pterodactly tail". Mold is bound by two metal wires. Stem section, plaster mother mold with inner rubber mold and wax core written on the mold is "pterodactyl". Mold is bound with a metal wire. 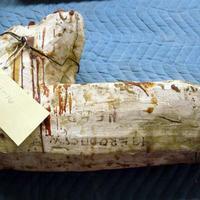 Plaster mold with red wax and red rubber core. 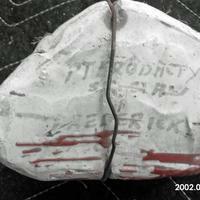 Written on mold is "Pterodactyl fish tail II Fredericks". Mold is bound together with wire. Plaster mold with red rubber and red wax core. 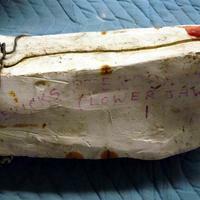 Written on mold is "Fredericks Pterodactyl lower jaw". 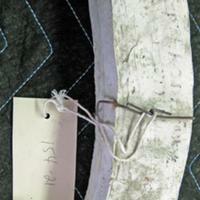 Mold is bound with a metal wire. Plaster mold with red rubber and red wax core. 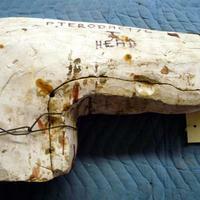 Written on mold is "Pterodactyl head I". Mold is bound together with wire. Plaster mold with red rubber and red wax core. 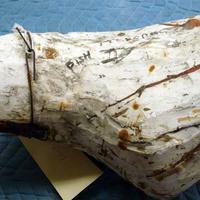 Written on mold is "fish Pterodactyl II" Mold is bound with wire. Plaster mold with red rubber and red wax core. Written on mold is "Pterodactyl head". Mold is bound with wire.